Greetings, Chastain Park Neighbors! We would like to address some Frequently Asked Questions (FAQs) that seem to come up often regarding our organization. What is the mission of the CPCA? Create or strengthen relationships with our neighbors, leading to a vibrant, desirable community; Encourage a healthy interest in community affairs; Investigate and correct civic abuses; Maintain strong relationships with our elected representatives for the common good. In short, our mission has 3 main focuses – Advocacy, Community, and Safety. What do I get for being a CPCA member, and how do I join? Most importantly, you are showing support for our Chastain Park neighborhood. In addition, once you join the CPCA, you will have access to our private Security Patrol. This is one of the most valuable benefits to our neighbors because you can ask them to check on your home when you are out of town. They do not just drive by your house. They stop and walk around your property, move any newspapers or packages to less-conspicuous locations, etc. They will contact you if anything looks “off.” Another benefit of membership includes invitations to our members-only events we host and access to any promotions or specials that our business sponsors offer for CPCA members. 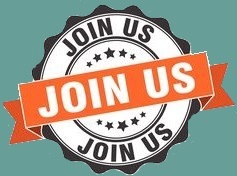 You can join/renew online at www.chastainpark.org on our “Join Us” page. If you prefer to mail in a check, you can print out a membership form from our website and mail that in with your payment. Our mailing address is P.O. Box 420473, Atlanta, GA 30342. What is the difference between the CPCA and the CPC? This question comes up a lot because the names and acronyms are so similar. The CPCA is a separate organization from the Chastain Park Conservancy (CPC). Both groups are worthwhile and serve the Chastain Park community, but in different ways. 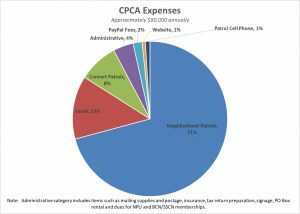 An easy way to think about the two organizations is that the CPCA advocates and supports the interests of the neighborhoods surrounding Chastain Park and the people that live in them and is made up entirely of unpaid volunteers that are residents of Chastain Park. The CPC works for the benefit of the park itself, especially the areas of the park that are not already managed by another entity, and is made up of a mix of paid employees and unpaid volunteers. The CPC works with the City of Atlanta’s Parks Department and helps ensure the Park’s Master Plan and natural and historic resources are maintained. Both organizations, the CPCA and the CPC, work closely together to protect the interests of Chastain Park and the surrounding neighborhoods. If I join the CPCA, how are my dues utilized? Typically, the bulk of the money raised goes towards the neighborhood patrols (approximately 70% of our expenses). The CPCA pays for extra concert patrols during concert season as well, however, the City of Atlanta reimburses us for that. Our next largest expense (approximately 13%) goes toward social community-building events, but some of that expense is partially offset by our event sponsors. The remaining costs are all administrative in nature, as you can see in the pie chart. Most of our costs are not affected by the number of members or amount of money collected. This means that any extra money collected can go straight to funding more security patrol or planning more social activities. Who are the security patrol officers, and how do I contact them? The security patrol is made up of off-duty Atlanta Police Department officers. Once you join the CPCA, you will be given the cell phone number and email address for our security patrol. That information is only given out to current members. If you ever misplace it or, for some reason, did not receive it, please feel free to email us at [email protected]. If you are in an emergency situation, you should always call 9-1-1 first before attempting to contact the CPCA security patrol. How many hours a day does security patrol the neighborhood? The last few years, we had the funds to receive approximately 4 hours of security patrol per day. The CPCA would love to be able to fund more hours! Why don’t I ever see the security patrol around the park? As mentioned above, the security patrol is only currently patrolling 4 hours a day. They are focusing on the neighborhood streets, not necessarily the park itself. There are other officers responsible for patrolling the park. Our security patrol checks in with us when they go on and off duty so that we know when they are patrolling. They also change up the hours they work so that they are not always patrolling the same 4 hour window each day. They are given a list of the active CPCA members and their addresses. They are patrolling 4 hours each day in their personal vehicles marked with a Chastain Park Patrol sign on the side, even if you do not see them. When does the CPCA meet and how can I find out about meetings and other events? The CPCA typically meets the fourth Monday evening of the month. We post the meeting information on our website (www.chastainpark.org) and typically send out reminders via email. We also often post information about meetings and events on NextDoor and on our CPCA Facebook page. If I can’t make it to the meetings, how can I find out what was discussed? The CPCA website does include CPCA Meeting minutes. Moving forward, we will make sure meeting notes get posted on our website in a timely fashion. If there are any particularly important updates, we try to blast those out via email after the meetings. What types of advocacy issues does the CPCA address? For any issues that are brought before the CPCA, we always try to keep the neighborhood’s best interests in mind. We are often presented with land use issues and are sometimes asked to offer support for homeowner variance requests that go before the Neighborhood Planning Units (NPUs). Our area in the City of Atlanta crosses two different NPUs – NPU-A and NPU-B. If the Cities of Atlanta or Sandy Springs are planning other projects, such as street repairs that will impact our area, we stay on top of that and aim to keep our neighbors informed. We are proponents of sidewalks and other safety improvements. And we try to hold informational meetings when there are hot topics such as high water bills, property tax issues, or new construction or developments in our area. I can’t remember if I already joined or not. Can I access a list of current members? I would like to be involved and help out, but I don’t have a lot of free time. Is there a role for me? What streets does the CPCA (and security patrol) serve? You can see a map of the area we serve on our website at www.chastainpark.org/neighborhoods/. If a street is outside these boundaries, it is not currently part of our security patrol coverage. What social activities does the CPCA sponsor? We typically host a Winter Gala for members-only in late January, a family picnic in late spring/early summer, and the 4th of July Parade and festival. We do have additional ideas for more community-building, social activities once we have the manpower and funding to cover them. Where can I find a list of CPCA business sponsors? We love the support we get from local businesses and encourage you to support them since they are supporting our neighborhood. You can find a current list on the CPCA website at www.chastainpark.org on our “Business Sponsors” page. Special offers from our Business Sponsors can be found on our “Special Offers” page. How do I get in touch with the CPCA if I have a question or comment? We are always happy to hear from our neighbors to answer their questions or listen to their comments and suggestions. Feel free to email us anytime at [email protected]. We look forward to hearing from you!